All Around This World’s “Musical Maps” will introduce you to the most engaging musical genres and instruments of the world through the playful illustrations of Uruguayan animator Gustavo Wenzel. 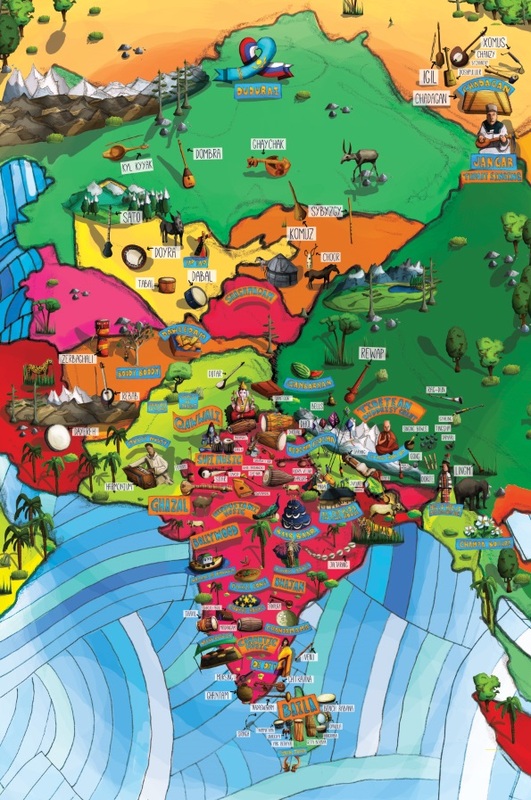 Each world music map will take you on a geographical tour of a part of the world that you may not know but that you can begin to meet personally by connecting with that region’s forms of music. 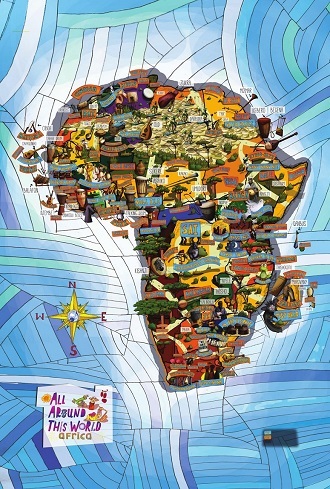 All Around This World musical maps will also point you to the countries of origin of all the songs on your All Around This World Cds, so if you’re planning to get your mitts on an AATW CD, these maps will help you and your kids dig just a bit deeper. Each map is only the starting point for your exploration of the world through music. Click through to the Latin America musical map page then click on any image on the map to learn more about the genre, instrument or All Around This World song. 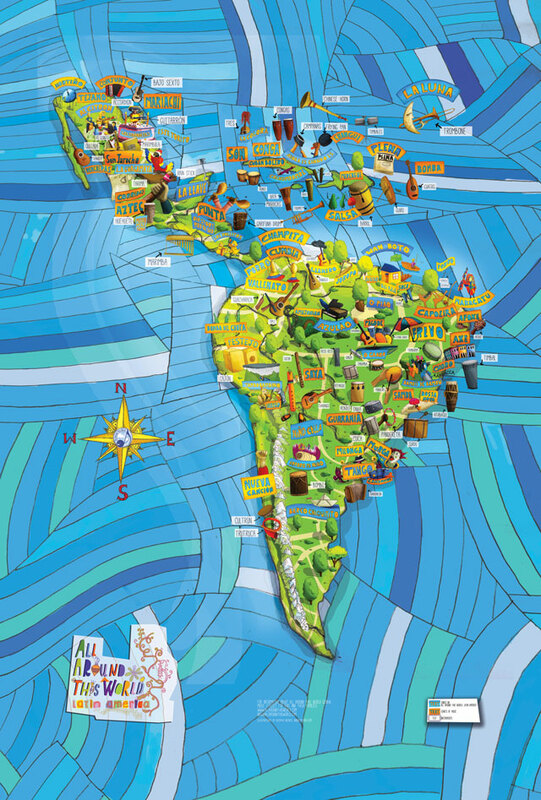 The All Around This World Latin America “Musical Map” is available TODAY for purchase as a beautiful 24″ x 36″ poster. The other maps will be available . . . soon.